Yet again worm named 'conficker' has been spotted in the wild and this time it's showing some dangerous tricks. Security researcher from Symantec has unveiled that is infamous malware have managed to hack all the computers that control closed circuit television (CCTV) system of an unknown prison. Representatives from the correctional institutions were adamant that all the required security measures be all set and be in place so that the malware might be blocked, thus claiming that the threats were identified by protective software that were most likely false positives. 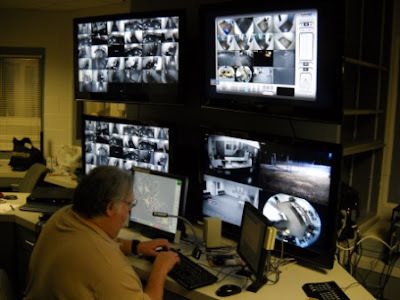 Symantec experts found that a different Windows server 2003 system was required to control the prison CCTV system after examining the whole incident, and that system had remained unpatched as updates are formed interoperability problems with the cameras. An infection is introduced unintentionally through a USB drive while a contractor doing maintenance on the system. The recorded footage is modified by the threat insisting the prison's representative to catalogue it as "tampered evidence". While commenting on the matter, Director of Managed Security Services for the Asia Pacific and Japan region at anti-virus firm (Symantec), Peter Sparkes denoted that a CCTV was found to cause infection and identified as a threat, through a maintenance device. It is a software update by the involvement of a third party was that was into maintaining the CCTV.